You'll have about 12 hours of daylight per day to explore Los Angeles in September. Besides the nicer weather, many of the most popular attractions get less crowded right after the Labor Day holiday. The kids go back to school in early September, and it may feel like summer is over, but in LA you'll still have another month to six weeks to finish off your summer checklist and make a trip to the beach. Labor Day is celebrated on the first Monday in September, making that a good time for a quick getaway. Get some ideas for places to go over Labor Day Weekend in California. I'm sharing my LA bucket list here, a selection of events and things to do that look like fun. Surf City SurfDog Competition, Huntington Beach: If you're like me and think there's not much that's cuter than a dog on a surfboard, this is the event for you. Dog owners from around the world, bring their pups to "Hang 10" in this surfing competition where the dogs are the contestants. Los Angeles County Fair: The LA County Fair is one of the biggest in the state. It starts on Labor Day weekend and runs the whole month. 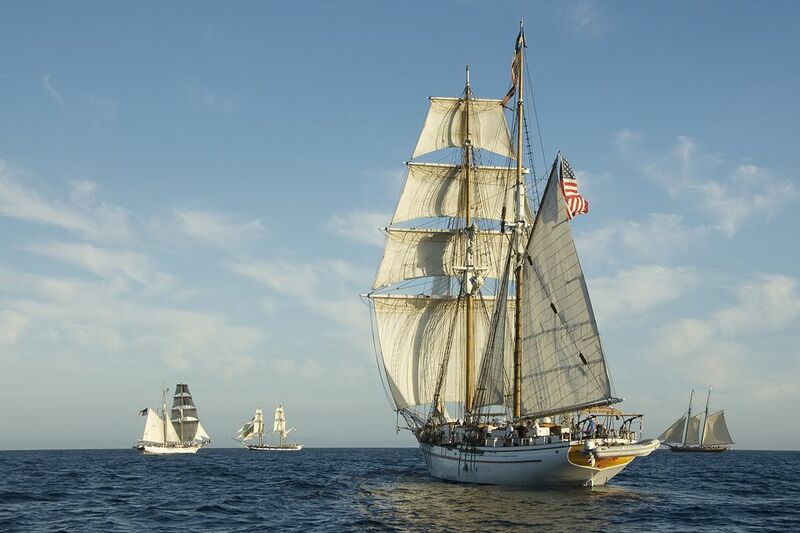 Tall Ships Festival: Those beautiful, tall-masted sailing ships that everyone loves to see come to Dana Point in Orange County every September. The Taste is a culinary event that needs to go on your foodie calendar. It's sponsored by the LA Times and happens at Paramount Studios on Labor Day weekend. LA Street Food Fest: Held Santa Anita Park, this food event is a great chance to sample lots of LA's best gourmet food trucks all in one place. Be prepared for crowds - and wear your stretchy pants. In Pasadena, the AxS Festival begins in mid-September and runs for two weeks. They describe it as "a proving ground where ideas, scientific theories and leading-edge technologies converge with artistic innovation across a multidisciplinary platform of architecture, new media, visual art, music, theater, educational programs and provocative conversation." The Emmy Awards are presented at the Microsoft Theater downtown in September. An area which is busy enough all year round that it can absorb the traffic, but expect downtown hotels to be filled up - or super expensive at the least. Get this year's Emmy date at their website. Even though you may think of September as more like fall than summer, the outdoor concert season in LA lasts all month. In fact, the season at Hollywood Bowl runs from late June through mid-October. The Greek Theatre has shows June through October. Surfline says September through November is the best time to surf in Southern California. In LA, you can see whales nearly year round: gray whales in winter and blue whales during the summer months. Find the best places to see them and when in the guides to Los Angeles whale watching and Orange County whale watching. September brings some of Los Angeles' best weather. It's often warm but with little chance of rain, with clear skies. Summer fog will be gone, except for a rare morning at the beach. That means air quality will be better, too. Use the weather averages to get an idea of what things may be like, but it might be different when you visit. A winter day could even be so warm you'll wish you packed your shorts. And - of course - check the forecast, too. The average temperatures look pretty warm but don't be fooled. A jacket is always a good idea for the evening near the ocean. Short-sleeved shirts and lightweight pants, with something for layering, are good clothing choices. You'll have less use for shorts than earlier in the year, although they may be welcome on the hotter days. Rain is also unlikely in September, so you can leave the umbrellas and raincoats at home. If you're trying to figure out the best month for your LA vacation, any time will be fine. You can use our monthly guides to find out more about events and what to expect all year long. In LA, winter is December, January, and February. It's sometimes rainy, but otherwise, the sky will be clear and sunny. After the end of year holidays, attractions will be less crowded. Spring season starts in March and extends through April and May. Signs of spring are subtle, but the weather is usually great — and except for spring break, attractions are still less crowded, up to the big holiday weekend at the end of May. Summer busy season starts in June. So does the dreaded "June gloom" which can keep the beach areas foggy all day long. It can extend into July, too. By August it will be hot —sometimes very hot and mostly clear. After the big September holiday, things quiet down. Weather will still be good into October and the outdoor concert season extends into the middle of the month. November is variable. Sometimes it's more like fall and sometimes more like winter. What Makes Summer the Perfect Time to Visit Los Angeles?